We live in the midst of many olive groves here in California. We are thoroughly spoiled by having access to some of the most amazing olive harvests this time of year. 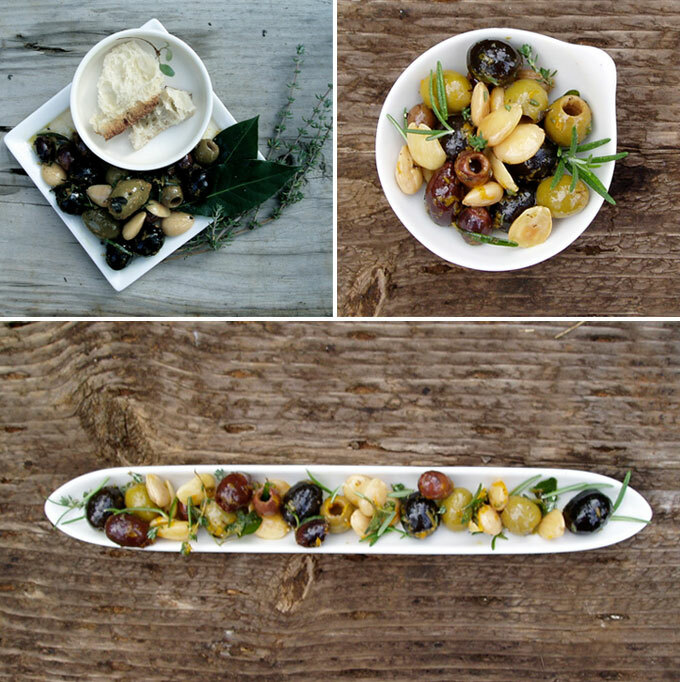 One of the easiest and most rewarding appetizer to make is marinated olives from our local growers. This recipe is easy to change up or down, add chilli peppers if you want spicy or substitute lemon for orange if you prefer tangy. Put olives in large bowl or jar with firm lid, add almonds, all spices, and orange zest, then gently stir or shake the ingredients, mixing them well. Add olive oil, orange juice and vinegar to the ingredients. Place in refrigerator for 1 to 2 days, about an hour before using remove the ingredients with a slotted spoon and place in serving bowl, bring to room temperature. If using same day, let the ingredients meld together on the counter and gently stir to move the ingredients, use a slotted spoon and place into a serving bowl when you are ready to eat (it’s best to marinate the ingredients at least 5 hours so that flavours get happy with each other). These are delicious with a main meal, served with a salad, or as an appetizer prior to your main dish (or, according to my husband, eat randomly throughout the day, he’s Greek, with a touch of Portuguese so this is one of his favourites).